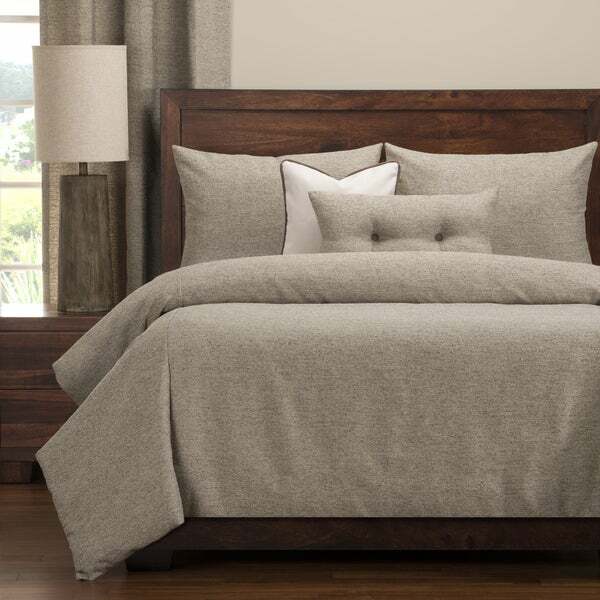 Create a warm and inviting look in your bedroom with this beautiful Belmont Spirit duvet cover set. Made from a soft polyester/ synthetic fiber blend, this stylish bedding will keep your warm all year long. The duvet cover is backed with an ultra-soft sheeting material that pairs maximum comfort with style. Stuffed with a medium-weight fill made from recycled plastic bottles, this cozy comforter benefits your health and the environment when compared to natural down. With zipper closures on the duvet cover and shams, this machine washable bedding is easy to clean. "What color is this! Can't tell if its grey or tan?"